Home / Entertainment / News celebrities / The synopsis for the first episode of Sherlock season 3 has been released! In January the immensely popular show Sherlock is back for its third series, and like its predecessors there will be three episodes, and it will be all over far too quickly. So we plan to make the most of the speculation, the teasers, and the general fan fun surrounding the show! Today we have been given a huge treat from the BBC – the synopsis for the first episode – and it sounds amazing! This is it people! We are so close to finding out how Sherlock (Benedict Cumberbatch) survived the fall off the roof – so very close, that the BBC has released the synopsis for the first episode, which will be entitled “The Empty Hearse”. Shiver! The hugely popular drama, which ended on a cliffhanger during the season finale almost two years ago, saw Sherlock apparently return from the grave after we had seen his dead body on the pavement, leaving his best friend John Watson (Martin Freeman) traumatised and grief-stricken. 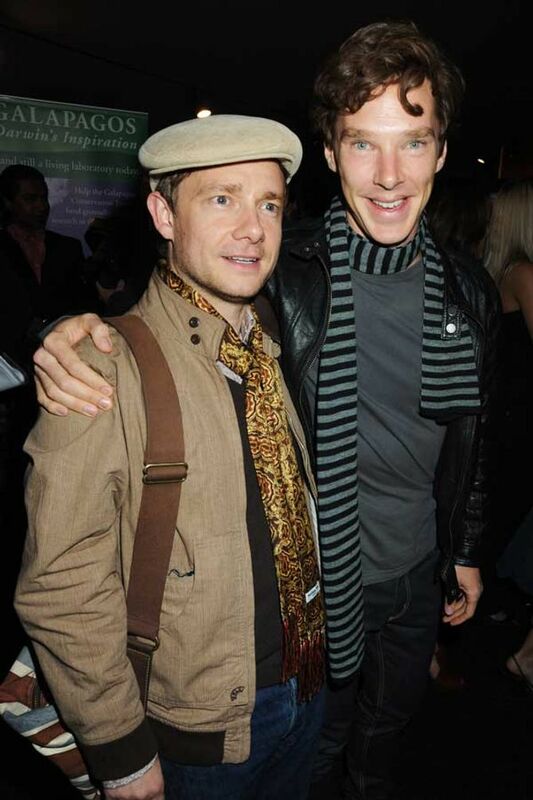 Good friend there Sherlock. Solid. 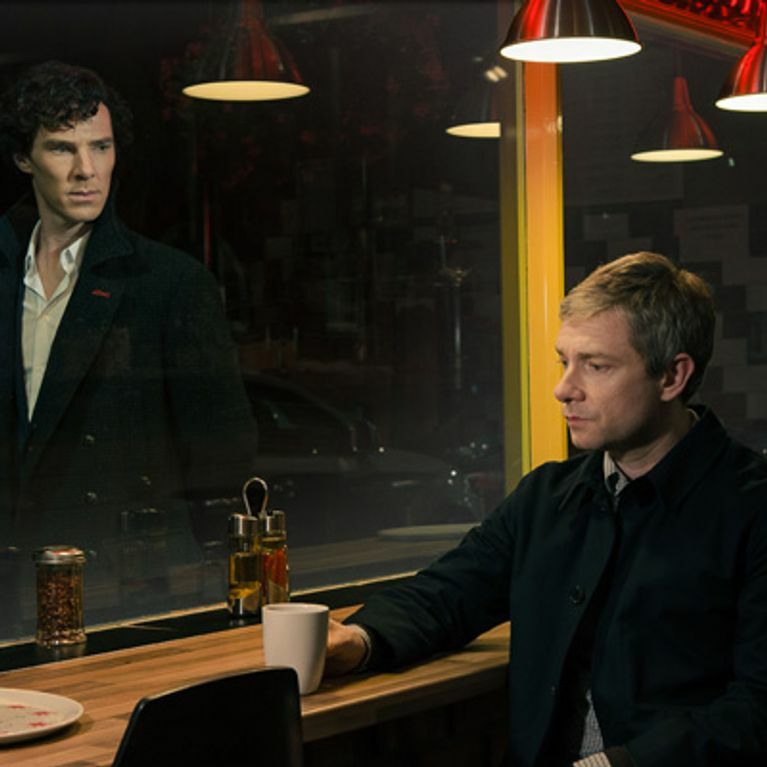 The synopsis hints at John Watson’s recovery process, as well as the threat that will force Sherlock to re-emerge. “In episode one of this new series, two years after the devastating effects of The Reichenbach Fall, Dr John Watson has got on with his life. New horizons, romance and a comforting domestic future beckon." “But, with London under threat of a huge terrorist attack, Sherlock Holmes is about to rise from the grave with all the theatricality that comes so naturally to him. It’s what his best friend wanted more than anything, but for John Watson it might well be a case of ‘be careful what you wish for’!" Do you think the revelation Sherlock wasn’t expecting was that John has grown a moustache? Or, much more likely, that he has a fiancée? It’s already been confirmed that Amanda Abbington (Martin Freeman’s wife in real life) will be playing Mary, John’s love interest. According to Amanda, people are bound to dislike Mary for getting in the way of our favourite crime fighting duo. ​She told The Scotsman: “They do have this beautiful relationship, so getting in between that – which is what Mary does, she becomes this kind of third wheel – was scary. Oh blimey, we don’t think the show needs any more secrets!